ColorGard is a unique snow retention system. Made of aluminum, it will not rust with time. What makes this system even better; ColorStrip. These are 2" x 10' pieces made out of the same metal roofing material used to install a metal roof. Therefore; there is an exact color match that is unmatched in the snow retention industry. ColorGard is the only snow retention system good enough to be warranted for the life of the roof. 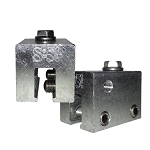 ColorGard is mechanically attached with patented S-5 clamps. S-5!® is the trusted name in metal rooftop attachment technology worldwide. 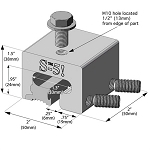 S-5!® patented, round-pointed setscrews grip the seam securely without penetration and without damage to the panel's protective finishes. 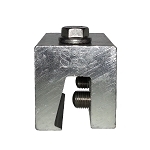 The clamps are precision-machined from aircraft quality, high tensile aluminum--not cast or plastic. All related hardware is non-ferrous stainless steel for lasting performance. Quality snow guard snow retention products is what S-5! provides the world wide community. 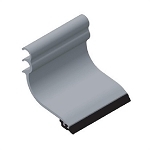 Because of their roof clamps and bracket mounts every metal roof can have a snow retention system attached to it. Other S-5! snow retention products besides ColorGard include: VersaGard, X-Gard (solar panel snow retention), SnoRail and SnoFence. All are excellent products. It simply comes down to the snow retention needs of the roofs. In light of all the snow retention products provided by S-5!, ColorGard is unique. It has a calculator that has been tried and tested by thousands of customers.That being said homeowners and contractors alike can rely on the information provided by the ColorGard Snow Guard Calculator. Note that the calculator does not take into account rooftop snow abnormalities, please call Roof Things as to create an appropriate system. For a complete snow retention system, attache ColorGard to the metal standing roof panel using the S-5-B, S-5-E, S-5-H, S-5-H90, S-5-N, S-5-N1.5, S-5-Q, S-5-S, S-5-T, S-5-U, S-5-V and the S-5-Z roof clamp. 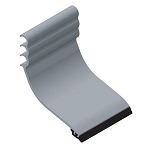 Then with other metal roof panels or shingle roofs use the CorruBracket or the VersaBracket 47. ColorGard is the original snow retention system and many other snow guard companies have based their design of this snow retention system namely Dyna-guard (Dynamic Fastener), SnowMax Standing Seam and Alpine SimpleGuard Standing Seam Fence (Alpine SnowGuards), 2" iClad, 2" iClad-S and 3" iClad (SnoGem), Color Snap A2 Clamp/Block Assembly and Color Snap ML Clamp/Bloxk Assembly (AceClamp), SnoBar ColorBar and ColorRail (SnoBlox , SnoJax, SnoBar). 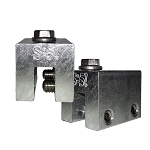 The names of their clamps are the following: A2 clamp, ML Clamp, Utility Block 2", Utility T Block 2", Brass Block, ASGU2 Standing Seam Clamps, Roof Clamp RCT, Roof Clamp RC, Sno Cube, Sno Cube Wide, Sno Cube Zip and Sno Cube KLOC. 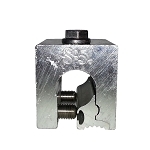 All have an attachment mechanism similar to the S-5 roof clamps with their own unique differences, but none have been tested to the extent of the S-5 roof Clamps, nor can they fit on such a variety of standing seam metal roofs. 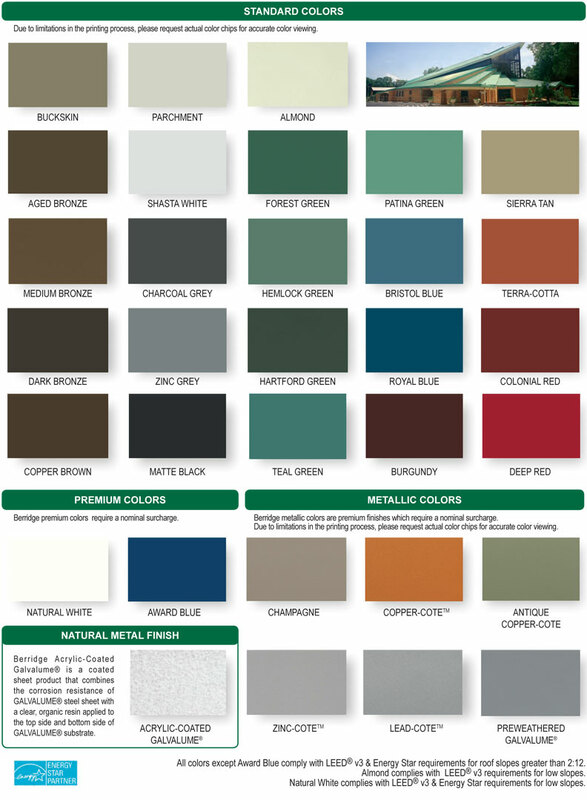 With all these different roof panels ColorGuard snow guard can be attached to, that is something to say about the quality of the product. There are a huge variety of snow guards apart from ColorGard. To find other systems that might fit the aesthetics of your home better or if you simply want a different style of snow guard snow break, search the website or call. This product is of excellent quality. Very easy to install. I would recommend it. Q: What is the 8ft piece s-5 color guard made out of ? W/splice - is that a connector ? 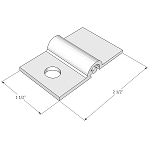 A: "ColorGard® snow retention system is manufactured from mill finished high quality aluminum. It comes in 8' long sections, in punched or upunched configuration. Splices are included with ColorGard" and are used for connecting adjacent sections." Q: What color do they come in and how are they fastened ti the roof? I have a standing seam. A: S-5! uses 10' x 2" strips of metal made from the same material as the roof. Go to this page: http://www.roofthings.com/color-strip-colorgard.html and scroll down to the bottom. This will show you the colors we have available. 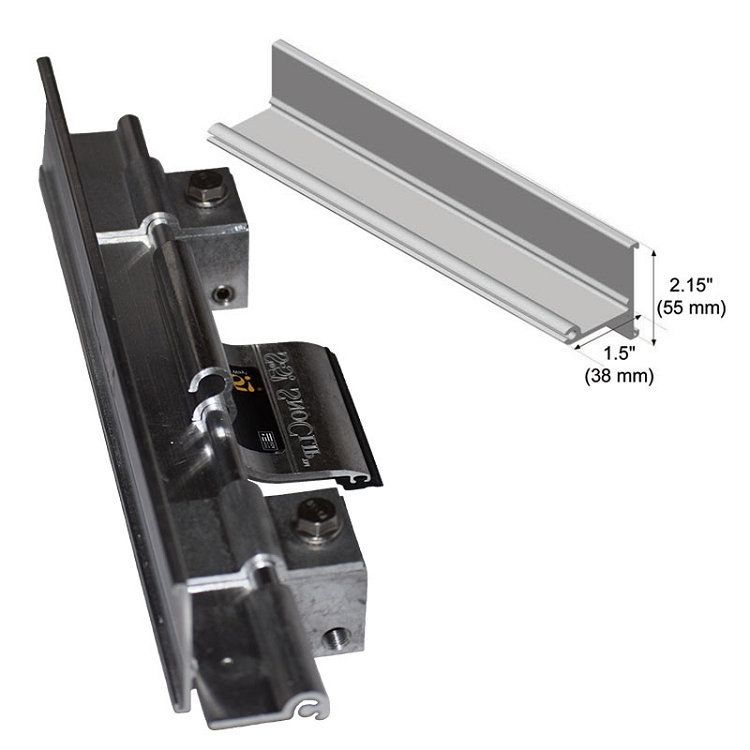 Q: If I order 8ft with splice for snow retention does this come with all parts necessary for installation ? and or what do I need to order? A: When you purchase one single bar of punched or unpunched ColorGard you get the ColorGard and a splice. In order to install the unpunched ColorGard, you will need to purchase the desired S-5! clamps and the VersaClip (the SnoClip is optional-it is place between the clamps/seams of the roof to keep large chunks of snow from sliding underneath the ColorGard). If you are not sure what standard S-5! clamp you need, please give us a call at 208-45-3699. 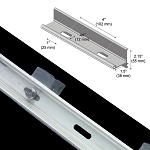 Q: Does this come with a splice piece to splice the next rail?